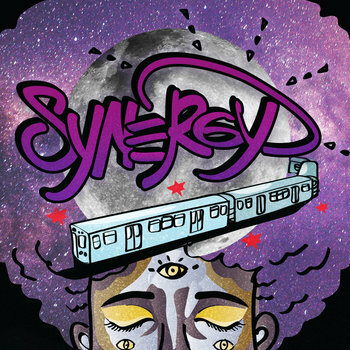 Synergy is the first all woman produced, performed and engineered Hip-Hop album. Created and Executively produced by Jovan Landry, the album features 11 original tracks featuring Chicago artists Jovan Landry, Tweak'G, Sundé, Jade The Ivy, JuJu MinXXX, Tee Spirit, Sauda Muse and Glitter Moneyyy. Original Production by Jovan Landry, Schenay, _Qisum and K Flow. The interludes contains interviews Chicago Hip-Hop artists, educators, organizers and curators TeQuila "Unmuvabo" Shabazz, Lady Flipside, Jaquanda Villegas, Jacinda Bullie, Tasleem Jamila, Ang13, Anyilation and Amina Ayo. Recorded at OneThirdEmcee Studios, and Engineered by VIIBEZ. Synergy is available on all streaming platforms. Want to learn more about this project? Click the Synergy tab above to open the subfolders to navigate.